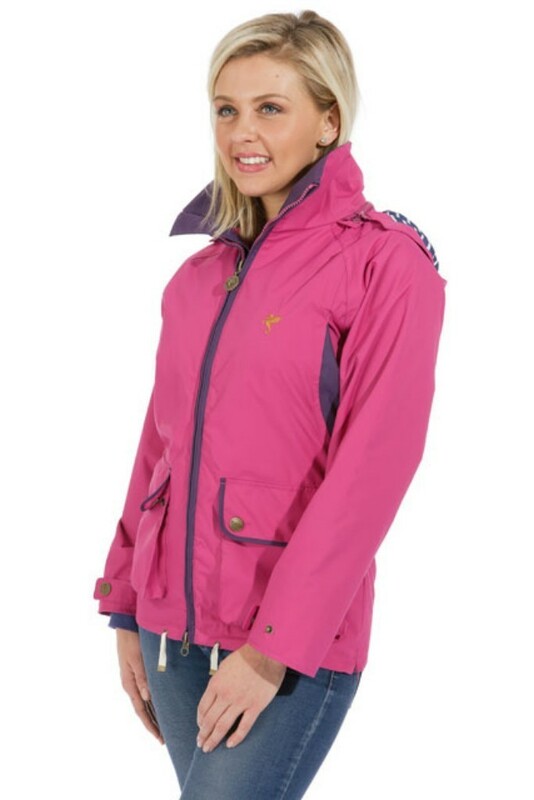 The Farnborough is a lightweight, ladies jacket from Puffa in a gorgeous shade of pink. It is waterproof but fully breathable and features a detachable drawstring hood, an ideal coat to layer over jumpers to keep you dry and comfortable in the Spring and Autumn. 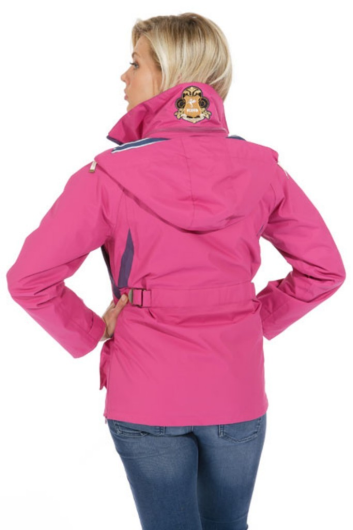 Features include a full two-way front zip, two lower front hand pockets with poppers and two zipped, vertical chest pockets on the front of the jacket. Inside there is a phone pocket and a left inside pocket with a purple and pink striped lining. In addition to the side zips it also has a drawstring trim around at the bottom that make this a perfect jacket to wear riding. 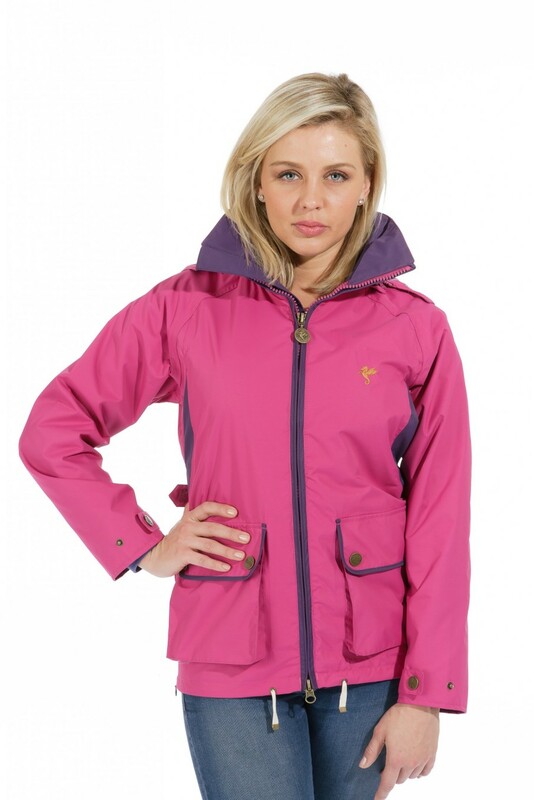 The adjustable velcro tabs on the rear of the jacket add shaping to the waist to create a flattering, femimine fit.